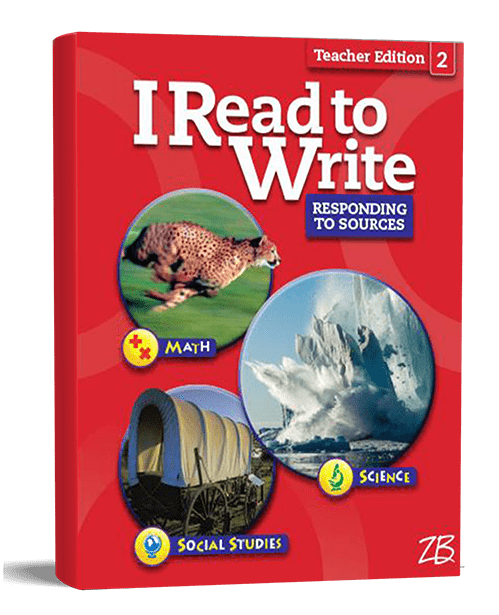 I Read to Write is a focused learning resource designed to teach students to read and think like a writer. 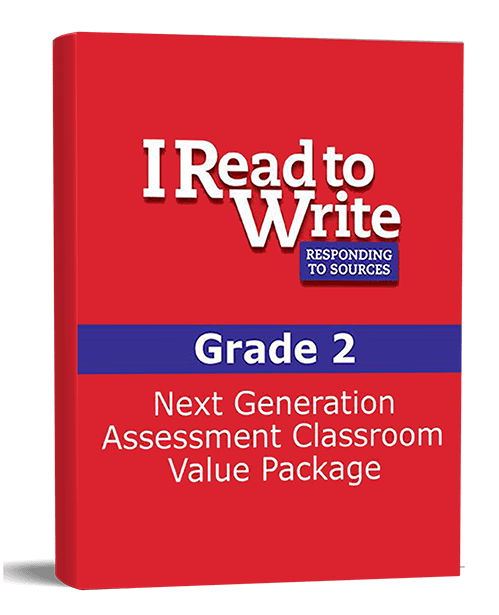 From reading closely to citing text evidence, students learn and practice the skills needed to successfully write to multiple sources on next-generation reading, writing, and math assessments. A supplemental learning program that can be integrated into any language arts program. Features three sets of topics that students read closely, cite text for evidence, and analyze. Student Edition features three sets of text sources related by topic and content area (science, social studies, and math) that students read closely, cite for text evidence, and analyze so that they can ultimately respond to the sources in written compositions. Student Edition is a write-in text. Teacher Edition and Teacher Edition eBook provide instruction for academic and domain-specific vocabulary mini-lessons, activities for differentiated instruction, ideas for promoting collaboration, and teaching tips for English language learners. Also, contains annotated Student Edition pages and writing rubrics for instruction and assessment. 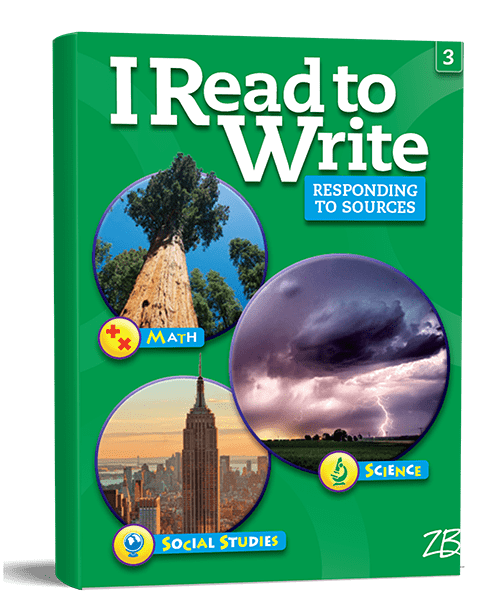 Zaner-Bloser Next Generation Assessment Practice, English Language Arts/Literacy, gives students the opportunity to apply the skills and strategies they have learned in I Read to Write. Tests include authentic, engaging text sources, as well as video sources. Sources are tied to a two-part writing performance task for each text type, narrative, informative/explanatory, and 3 opinions or argument.